Connexin 32 antibody LS-C14536 is an unconjugated mouse monoclonal antibody to Connexin 32 (GJB1 / CX32) from human, mouse and rat. Validated for IHC and WB. Directed against an epitope located between residues 95-125 in the central cytoplasmic loop of rat Cx32. Recognizes rat Connexin-32. Species cross-reactivity: human and mouse. 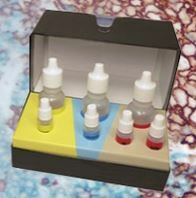 Suitable for use in Immunohistochemistry (lightly formaldehyde fixed tissues) and Western Blot. Western blot: Detects a 27kD Connexin 32 polypeptide in blots of rat hepatocyte gap junctions and an additional 47kD band corresponding to aggregates.